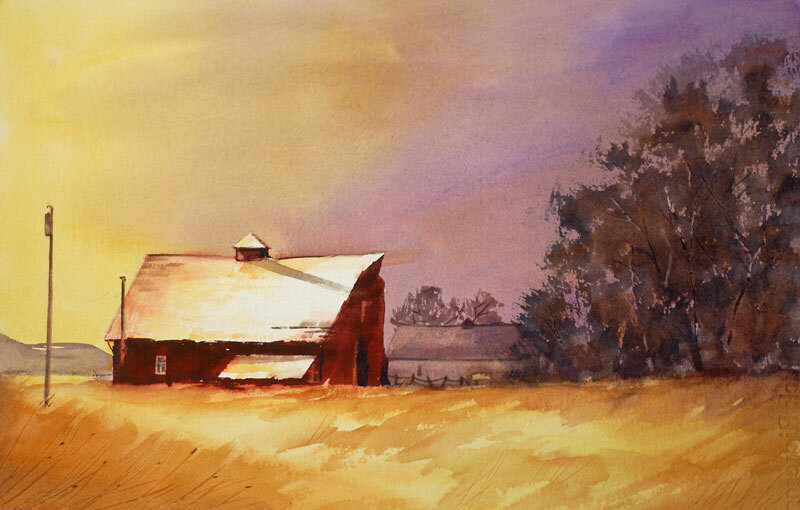 Thomas Freeman Original Watercolor Painting: "Just Before the Storm"
I am showing the plight of so many old barns that have withstood the violent storms of days past and now are showing their age. As the storm approaches, the last of the sun leaves shadows on the old barn's roof. Will the barn stand through one more storm?